Polycarbonate (PC) as the only five engineering transparent plastic products, production at home and abroad is growing rapidly, in 2000 the global production capacity is about 1.85 million tons, 2001 tons, 2002 tons, 2003 tons, is expected in 2004 will increase to 2.9 million tons, 2005 tons, with an average annual growth rate of about 12%. Our country PC capacity for many years has been small, only three companies to maintain production, capacity of less than 5000 tons/a, the annual output 2000 tons, with China’s PC demand rapid growth, at present our country a PC joint venture cooperation construction unit upsurge, bayer company and Shanghai huayi group chlor-alkali chemical company in Shanghai chemical industry park construction 200000 tons/aPC device, is expected to a period of 50000 t/a device will be in production by the end of 2004, finished at the beginning of 2006, the second phase project of 100000 tons/a, in view of our country PC huge market demand, will eventually make the PC unit capacity to 200000 t/a, plant production is mainly in optical products, used in the production of CD, DVD, car lighting system, etc. Japanese emperor people chemical is zhejiang jiaxing construction 50000 tons/aPC device, is expected to put into production in April 2005, the main raw material bisphenol A by mitsui chemical supplies, chlorine and caustic soda were from A local enterprise, carbon monoxide their production, products for general level products, mainly supply electrical components, auto parts production, plan in 2006 will add A 50000 t/A production device; At the same time the company in Shanghai gaoqiao free trade zone construction owned 18000 tons/aPC, ABS injection molding complex device, at present has gone into operation and plan in the first half of 2005 new 20000 tons/a second line. Japan mitsubishi gas in sichuan chemical company intends to build 100000 tons/aPC device, is expected to put into production in 2007. In addition, the domestic and some enterprises and foreign cooperation or use of the technical construction scale PC production device, so the next few years China will enter a new stage of PC production in 2006, domestic production capacity will be increased to around 250000 tons/a, 2010 will reach 50-600000 tons/a. According to China’s PC huge potential market, foreign famous PC company not only in our cooperation construction production device, but also in China, Taiwan, South Korea, Singapore, Thailand and other countries and regions construction scale device, relatively more device investment is aiming at the market. PC production technology progress main development trend is to develop the phosgene synthesis process to replace at present the main synthesis process interfacial polycondensation phosgene method, GE plastics and bayer company are developing their non phosgene method production technology and to the industrialized production, in addition xu/chi mei, mitsubishi chemical/mitsubishi gas, emperor people company, LG chemical company are developed non phosgene technology, are building or planning to build the phosgene method PC device, the phosgene method route will become the future PC of the main production line. 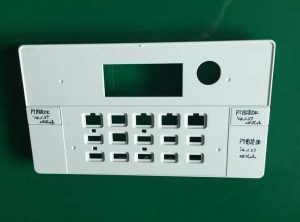 In the 1990 s in China since the end of the PC demand from originally of textile industry with sand tube steering electronics/electrical, CD, construction, automobile industry and other fields, demand has increased dramatically. In 1999 the domestic consumption of about 140000 tons, and in 2003 increased consumption of 380000 tons, with an average annual growth of about 28%, far higher than the average growth of the national economy and other general engineering plastics growth. Due to the domestic production minimum, our country use PC mainly imported from abroad. In 1999-2003 in China PC net imports respectively for 138000 tons, 235000 tons, 212000 tons, 342000 tons, 381000 tons, and it does not include a number of smuggled in PC, also did not consider import finished product and leftover material, so the actual domestic import and consumption data than the customs statistics to be much higher, the domestic and foreign PC world agree that our country market potential is tremendous its relative stability. In 1999-2003 in China PC market fast growth was mainly to electrical and electronic products, hollow sunshine board, CD and DVD and non one-time drinking water and food container demand, at present, China’s PC consumption structure roughly as follows: electronic electrical and computer accessories accounted for about 42%; Hollow sunshine plate accounted for about 26.3%; CD and DVD about 13.1%; Drinking water and food containers accounted for about 10.5%; Composite materials and automobile industries accounted for about 9.1%. In the next few years our country original main consumption field will continue to maintain high growth momentum, computer and household appliances sustained growth, this in the future to a PC at an average rate of about 10% – 12%; Railway, highway, airport and urban construction, the hollow sunshine plate demand remains strong, and in recent years the domestic Yangtze river and the pearl river delta area using PC processing to produce the plank enterprise economic benefits than many polymer resin production enterprise good many, is expected to hollow sunshine board for future PC demand with an average annual growth rate of 12-15%; At present our country become the world’s second big CD consumer, before all of it relies on import CD grade PC production, with bayer Shanghai CD grade PC and put into production, the next few years for the PC CD demand will still remain more than 20% high speed growth; Experts predict the future domestic PC the fastest growth in demand will be in PC as the backing material polyolefin-g-mah/kind of composite material, the automobile industry will be the main pulling power. The expected future years our country PC demand with an average annual growth rate will be 15% – 20% between, 2006 domestic PC market demand will reach 55-650000 tons/a. Domestic production is still unable to meet the domestic market demand, will from neighboring countries such as Japan, South Korea, Thailand import a large number of products in the domestic market supply. At present the global PC application has to high functionalization, specialty direction development, in view of our country PC production capacity and market demand are presents the fast development situation, especially, the domestic many sets of large-scale device of construction, with the rapid development of automobile industry pulling, the next few years PC industry in our country has entered a new stage of development, the most key is to accelerate the PC application research. PC/ABS alloy, PC and ABS blend can comprehensive PC and ABS fine performance, on the one hand, can improve the ABS heat resistance, impact resistance and tensile strength, on the other hand, it can reduce the cost of PC and melt viscosity, improve the processing performance and reduce products internal stress and impact strength of the sensitivity of the product thickness. At present PC/ABS alloy development is rapid, the global output of about 850000 tons/a or so, China’s demand is about 200000 tons/a or so. The world each big companies to develop out of PC/ABS alloy new varieties, such as flame retardant, glass fiber reinforced, electroplating, such as ultraviolet radiation resistant varieties, mainly for the automobile industry, computer, photocopiers and to electrical and electronic components, etc. The domestic research and production company has Shanghai jie things jie company, Chinese academy of sciences, lanzhou university (htma changchun application etc. PC/PBT (polybutylene terephthalate) alloy, PBT and PC blend system alloy material can improve the PC liquidity and improve the processing performance and resistance to chemical resistance. Japanese researchers use PC and PBT ester exchange in the presence of catalyst, system PC/PBT blend, comprehensive performance is good, and has a good transparency; With the PC refractive index similar glass fiber reinforced PC/PBT, not only system comprehensive excellent performance, but also has the very good transparency, and can do glass instead of material. 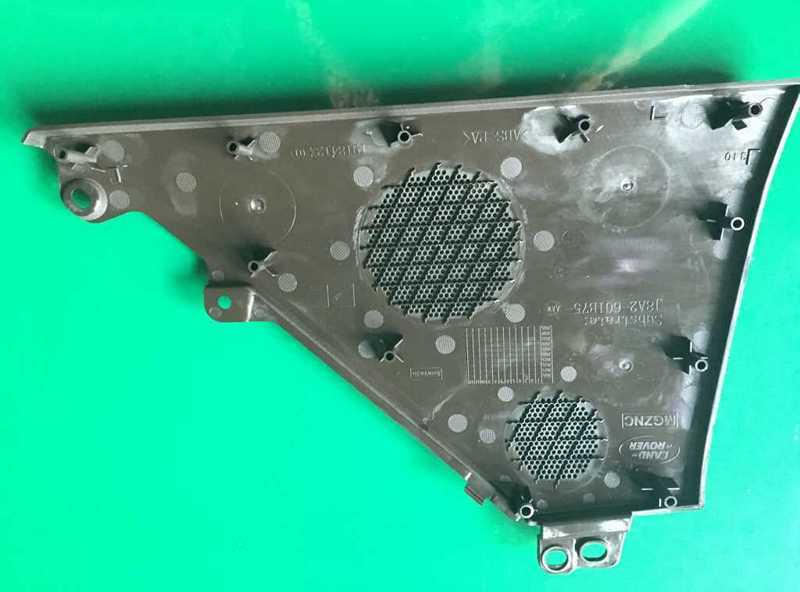 At present foreign PC/PBT alloy products are mainly used for automobile bumper, packaging film materials, auto base and seat, etc. The domestic research has just started. In addition PC/PS (polystyrene) alloy, PC/PET (polyethylene terephthalate) alloy, liquid crystal polyester modified PC, PET/PCL (by ethylene glycol, low molecular weight polycaprolactone and terephthalic acid copolymerization a multi-block copolyester) and PC blend modification, poly (1, 4 – cyclohexane two formic acid – 1, 4 – cyclohexane two methanol) ester modified PC is worth attention and research and development. Secondly it should keep up with the international development trend, together with PC alloy material research advances, PC application range is expanding constantly, to speed up the PC consumption field development. Flame retardant environmental communication appliances, we should focus on developing of flame retardant PC used for communication electrical field, so no pollution flame retardant PC material become development key, bromide flame retardants due to the toxicity in reducing use and environmental protection halogen free flame retardant agent can significantly reduce the PC thermal deformation temperature and impact strength, therefore more suitable is organic silicon flame retardants. In addition with communication electrical light miniaturization of PC material put forward higher requirements, the PC/ABS alloy is especially appropriate in communication appliances and aerospace industry application. Surface metallization of auto parts, PC surface metallization has good metal gloss and high strength, which are widely used in all kinds of auto parts, but plating process will reduce its impact toughness, and therefore the elastomer and PC for common mixing modification, contains elastomer distracted induced cracking stress, although the plating will not reduce the impact toughness, and therefore plating stage PC resin are development prospects. Another surface metallization PC can also as electromagnetic wave shielding material, the application of the computer. Low residual harmful food container, industrial synthetic PC is bisphenol A type, because when synthetic trace unreacted monomer bisphenol A residue in the resin, in as drinking water and food containers, easy to be dissolve out so as to influence people in healthy body, therefore to develop health level PC resin, used as A water bucket and other food container production and use, as A water bucket and other food packaging materials and containers PC in the domestic application prospect is very good. Anti cracking embrittlement of medical devices, PC has many excellent properties, at present has been used medical instrument, because of its resistance to chemical character is poorer, in the presence of chemical easy cause internal stress cracking, such as PC in artificial dialyser, artificial lung medical equipment application to solve high temperature disinfection lead to crack aging phenomenon, if overcome these disadvantages, PC in medical instrument can be applied in rapid expansion. At present our country PC industrial production, consumption and application into a rapid de velopment in the new period, in view of the present situation in our country in addition to speed up the PC application study outABside, but also speed up the localization technology industrialization process, after many years of hard work our country – ester exchange method PC production technology mature, become very promising green production process, the domestic should collaborative promote industrialization process. In addition the domestic production enterprises should avoid blind construction of introduction and PC device, can avoid competition hot, speeds up the PC materials such as bisphenol A and other production, future domestic bisphenol A great gap, from another point of promoting China’s PC industry development, but also effective to avoid market risks. At present the domestic technology level compared with foreign there is still a large gap, the existing small and medium-sized production device should speed up the technology introduction, digestion, absorption edge production side, and constantly bigger and stronger, and at the same time supporting production some PC composite material, set up the sales network, forming characteristic PC processing application enterprise. 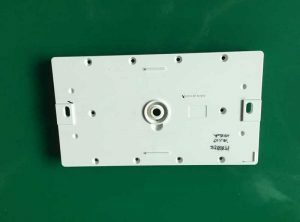 There are many type of plastic material which can be molded by plastic molds and plastic molding process, if you want to know the best solutions for your project you can ask https://www.plasticmold.net/, they will offer you the best plastic mold and plastic molding process for your project. Over-mold injection molding , th eprocess is the same as insert molding, where an existing component is loaded into a mold and plastic is molded around it to create a multi-material single part. 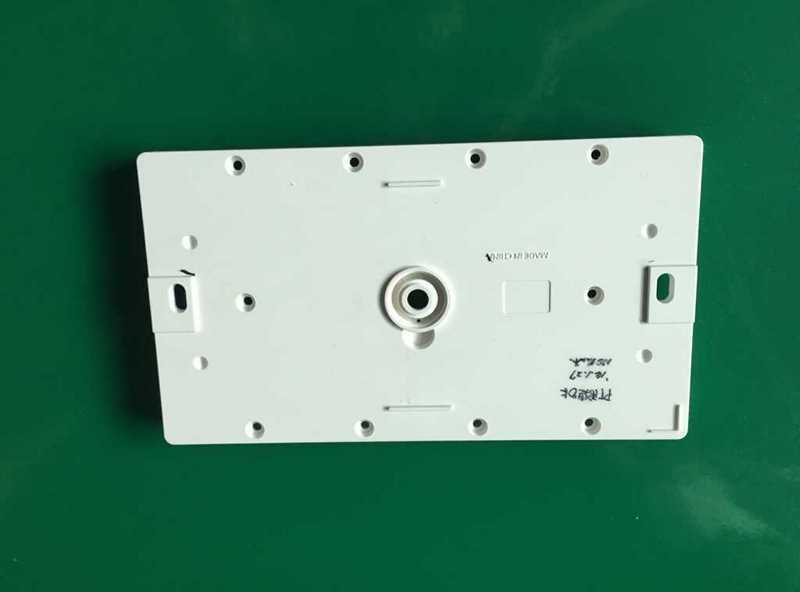 Insert-molding is most synonymous with combining metal components with plastic in such products as electrical pin connectors. When the term over-molding is used, the metal component is simply replaced with a previously molded plastic part. Single-shot injection molding machines are used to produce both the plastic component and the over-molded plastic. 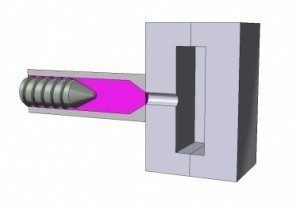 Tooling for injection over-mold injection molding requires two molds; one for the plastic component and one for the over-mold. Over-mold injection molding requires labor to handle the plastic component and load it into the second mold. Over-molding is generally reserved for higher priced parts that can absorb higher machine time and labor costs. 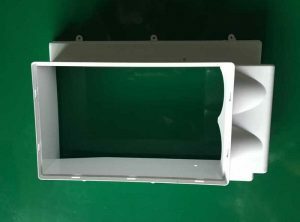 If you are planning to go into a plastic molding business, you should first know the different processes. Choose from a plastic molding process that fits your budget, your expertise, and your resources. In Injection Molding, melted plastic is forced into a mold cavity. Once cooled, the mold can be removed. This plastic molding process is commonly used in mass-production or prototyping of a product. Injection molding machines were made in the 1930’s. This can be used to mass produce toys, kitchen utensils, bottle caps, and cell phone stands to name a few. Plastic molding is a very technical process. It needs experts in this type of manufacturing business for it to be competitive in the market. Therefore, a very scientific and systematic study should be first made before going into this endeavor. Injection molding is an effective way to make custom parts. Granules of plastic are melted down and then injected into a metal mold; there the molten plastic hardens into a designated shape. Then you open the mold and a new part is removed, inspected and is ready to go. Injection molding is an incredibly versatile form of molding plastics. As with everything, injection molding has its ups and down so it is important that the ends justify the means for your project needs. There are three main components in the injection molding process. The injection apparatus itself which melts and then transmits the plastic, the mold, which is custom designed, and clamping to provide controlled pressure. 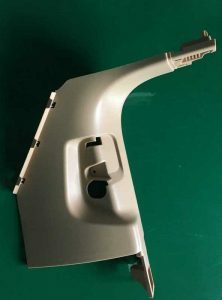 Thermoplastic injection molding is molding the most widely used of all plastic processing methods. The injection molding machine reduces pelletized raw material and colorants into a hot liquid. This “melt” is forced into a cooled mold under tremendous pressure. After the material solidifies, the mold is unclamped and a finished part is ejected. Injection molding offers the lowest piece prices available, but tooling prices are generally the highest. Thermoset injection molding is similar to thermoplastic injection molding except that uncured thermoset resins are mixed, injected, and held in the mold until cured. As with thermoplastic molding, the price per piece can be low, but the tooling prices are generally very high. Purchasing the box, some assorted socket rails, and some additional clips for the socket rails, I took the box home with me to see how well it would stand up as a replacement. The box is quite simple in construction. It’s a plastic injection molded case made of a very thick plastic. The case consists of a flip open lid (with two latches that are padlock compatible) covering a deep top storage area, and three drawers that are very similar to the large rolling tool chests that many professionals and advanced amateur home mechanics have in their garages. When you flip the lid open, the lid will immediately release the latching mechanism for the three drawers. Unfortunately, the lid does not contain any hinges or tethering that prevent it from flopping open and hitting itself on the back of the tool box. This was my only gripe involving the tool box. Do you want to know more information about overmolding and insert molding? 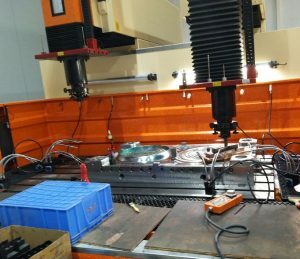 If so please go to our double injection molding site by https://www.plasticmold.net/double-injection-molding/, there are more information for you.